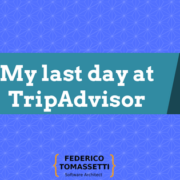 So, I just finished my first month at TripAdvisor. It has been quite an intense period and it involved spending a couple of weeks at the headquarters in Newton (MA, USA). 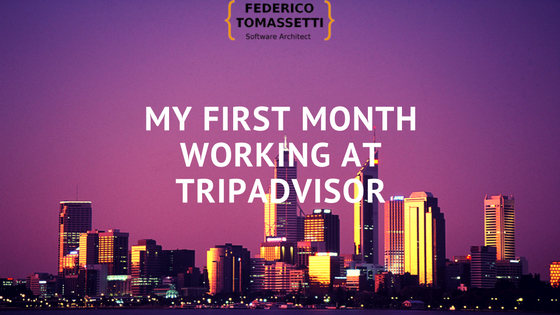 Working at TripAdvisor is both completely different and very similar to what I used to do. It is similar because I am still playing with code; the very same activity I have been doing since I remember. Whatever particular type of code you are working on you always feel this sense of familiarity while you are programming. 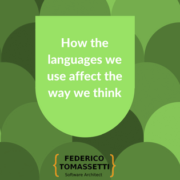 It makes me feel comfortable and relaxed, after all I keep doing the same thing over and over: reading, reasoning about and writing code. On the other hand, this job it is very new for me because I used to work in an Academic environment or to do other stuff (MDD/DSL consultant, Java teacher, etc.) which did not imply working with such a large codebase, on a project with hundreds of millions of user which is constantly evolving (and at a fast pace: Speed wins!). There are a lot of new challenges in this kind of environment and I am enjoying them. 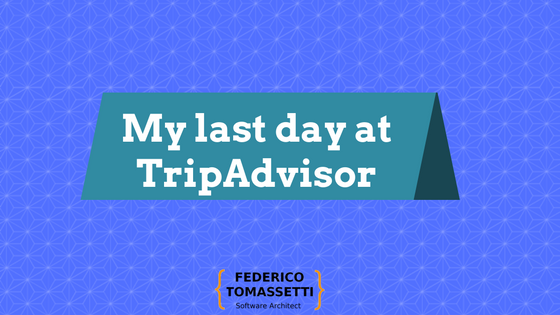 I do not have problems understanding the code base (everything seems reasonable and there is enough documentation) but I am still very clumsy in following the processes and I should improve in the way I interact with the other members of the teams. Maybe I could have expected these differences but there were also a few surprises. 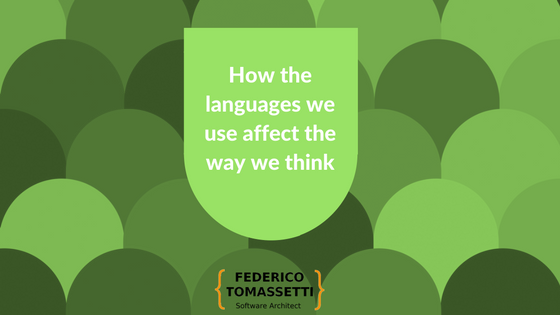 The first one is how helpful all my team-mates are: you can just go and interrupt everyone asking about a piece of code, which is the best way to perform a task, if some idea of yours make sense. Everyone is always ready to help. This is simply astonishing and it is something I still need to get used to. The second one is that the company wants you to understand that they care and they are happy about having you on board. They spoil you in any possible way and they do an effort to put you in the best conditions to do your work. So you can relax, open your brand new mac and focus on writing code. Another thing I am starting to like is being a completely full-stack engineer: I am working on back-end and front-end. If I find a possibility for improvements in any script I am encouraged to implement and share them. Everyone has the possibility to intervene and improve things around himself. The result is that things are always evolving in a positive way. Things are not perfect in every single area, but you feel you can actually change the bits you are not happy with, you feel empowered. If you decide to not fix something, well, you have no excuses to complain about that. Dublin and Irish people are another variable of the equation. Let me just say that they play a huge role in making this new adventure a very happy one, so far.